Portland Head Light At Dusk. The Light Station Sits On A Head Of Land At The Entrance Of The Shipping Channel Into Portland Harbor. 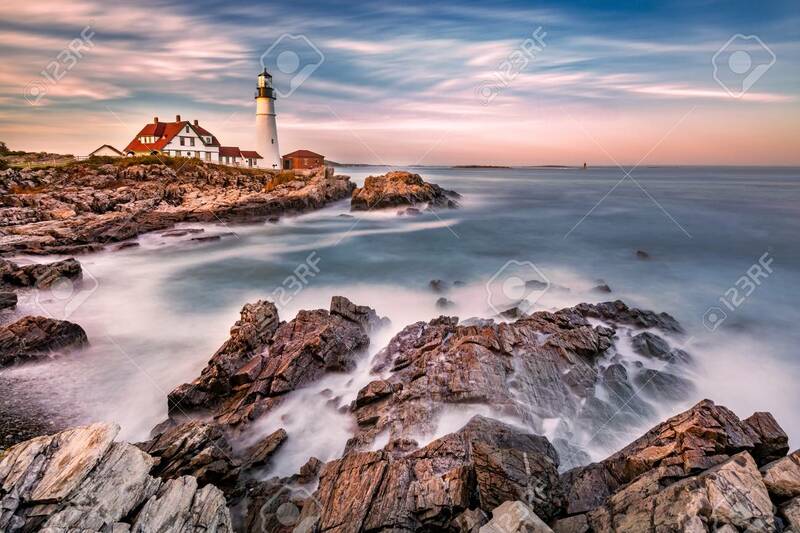 Completed In 1791, It Is The Oldest Lighthouse In Maine Royalty-Vrije Foto, Plaatjes, Beelden En Stock Fotografie. Image 116139531.